6. Most important of all, Compensation Policies. In the section for general guidelines, you must make it apparently clear that the entire Sales organization must follow the published Sales Rules and Policies that the Organization puts forth. Here are some examples of general guidelines I have used in the past. In the next couple of sections, you need to list out the important roles and guidelines for your Sales Executives and Sales managers. In this way, there can be no misunderstanding on their authority and responsibilities. • Only the Sales Executive (SVP, VP) can approve the giving of gifts to customers. • Only the Sales Executive (SVP, VP) can approve the following: booking split across Subsidiaries, Regions, certain discount approval levels (see Sales Rules), and types of evaluation licenses. • The Sales Manager (Dir, Dist Mgr) decides the hiring and firing of salespeople, with the Sales Executive having the final approval. • While the Sales Manager (Dir, Dist Mgr) is responsible for territory assignment, it is the Sales Executive who determines the sales quota and commission structure, in accordance with the published Sales Rules. • The Sales Manager (Dir, Dist Mgr) and each individual Sales Representative must update the sales forecasting system accurately and weekly. The section “Rules of Conduct” is probably the most important part of your Sales Management policy. This section sets the tone for your Sales Organization along with the published Sales rules. This part of the policy can be seen as the Standing Military order from command and can not be wavered from at all. Here is a list of examples you can draw from. • No salesperson is allowed to give or loan any product to any customer, institution, or outside organization without prior approval from the Sales Executive (SVP, VP). • All Sales territory cannot surpass a radius of 1-hour traveling distance (by airplane). • All salespeople will follow the same Sales Rules. • Each salesperson will follow the two-quarter rule, which can only be waived by the Sales Executive (SVP, VP). The Two-quarter rule means that a salesperson has to meet their given quota within two quarters or else face termination. • When a Sales Rep misses one quarter’s quota, he/she has to make it up in the following quarter; otherwise, he/she will be terminated, but the Sales Executive (SVP, VP) can waive the job termination. • Sales Associates (Junior Sales) have to stay on their assignment for a minimum 2-year period before they can qualify to be promoted into a regular Sales Representative position. • The expense report for a salesperson’s activities only covers the salesperson’s travel, entertainment meals, and cell phone expense. A cap, approved by the Sales Executive (SVP, VP), is imposed on the amount of money that a salesperson can submit in his/her expense report. • All Sales Expenses Reports must be submitted for processing within a month after expenditure. All expenses that are submitted after the month deadline will not be accepted for reimbursement. • Weekly Sales update meetings will be held by each (Territory, Group, Region, etc) on every Monday morning and run by either the Sales Executive (SVP, VP) or Sales Manager. • Except for the Annual sales meeting, each (Territory, Group, Region, etc) will hold its own quarterly sales meetings at their own locations. 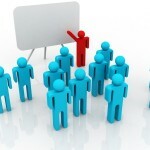 • All quarterly sales meetings are held during the first month of each quarter. All sales persons are required to attend without exceptions. • The Annual sales meeting is held on April 3rd through April 6th of each year regardless if it falls on a weekend. Finally, the Compensation section of the Sales Management Policies. This section is extremely important to the Sales force and should be carefully crafted and executed. If done correctly, your sales force will be extremely motivated and your revenues will show for it. If done incorrectly, morale will be low and it will be difficult to increase revenue. Of course, industries vary and the size of companies, whether they are public or private will influence compensation trends and practices. But remember, once you set the compensation, do not change it around often, at least not more than once a year. If you do, you will negatively effect your sales organization and the mistrust it creates will be very difficult to repair. Please take a look at some examples of compensation polices that I have used in the past. • The compensation of each salesperson is commission based (see Sales Rules), while that of sales management is based on salary plus bonus. • Base Salary of Sales varies based on local cost of doing business, Commission rates are uniformly based on Grade levels of each Group Company. • Sales support personnel (Tele-sales, Maintenance collection, Secretary, and others) are paid a straight salary with a non-fixed bonus. • Customer Product Engineers are centralized & geographically distributed. They are paid a straight salary with a non-fixed bonus.